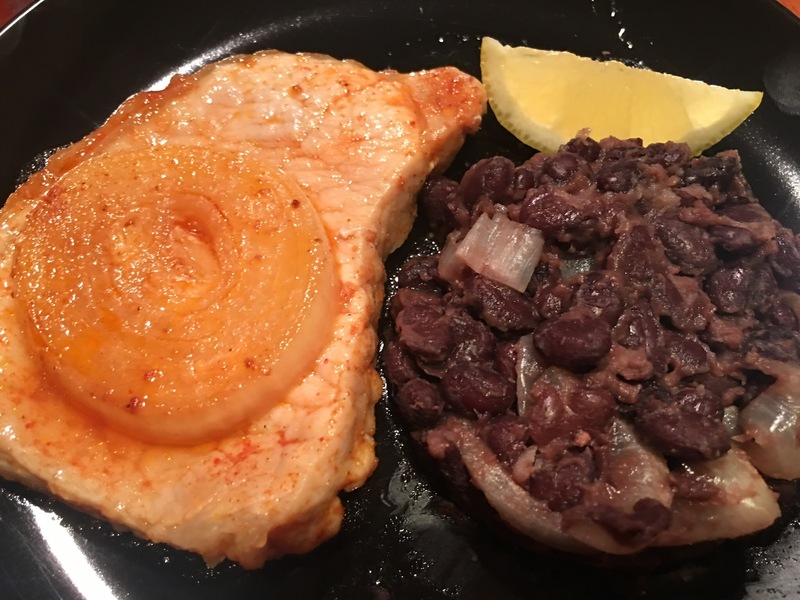 Pork chops with black beans sans rice! – Hurried Home Chef! 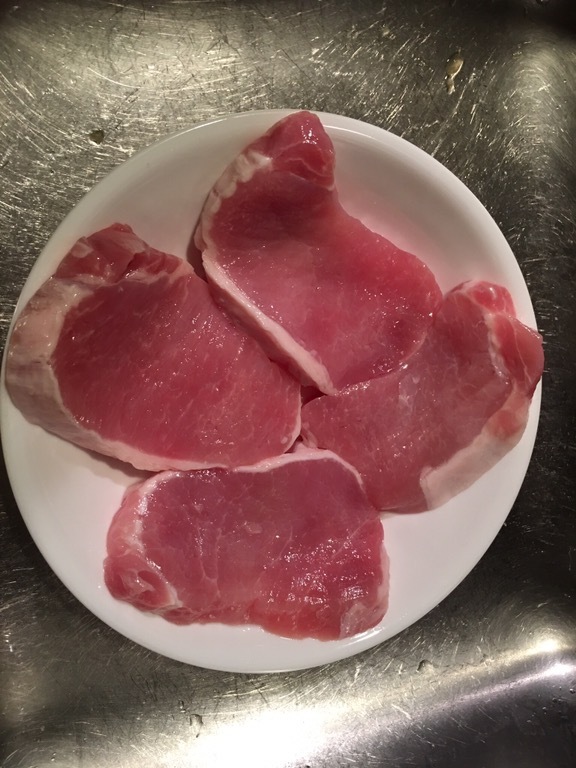 Pork chops with black beans sans rice! 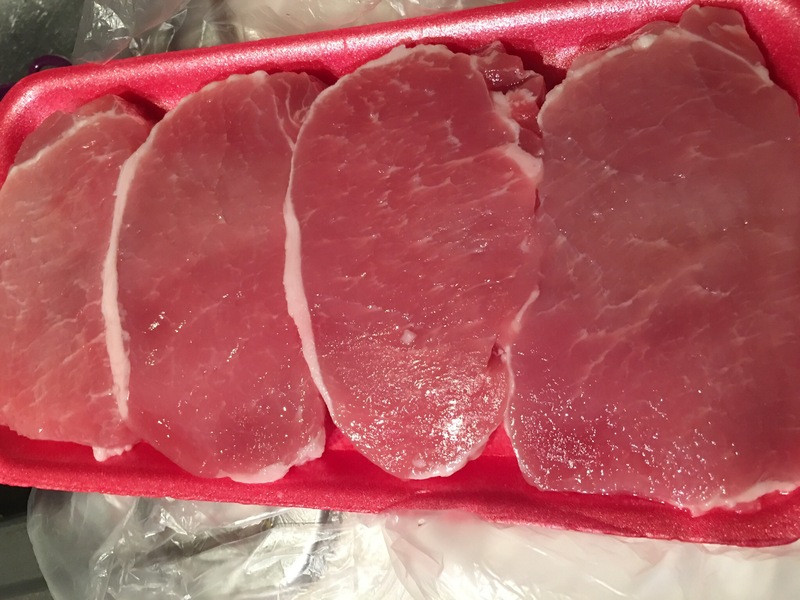 There are many variations to pork chops, but in the interest of keeping it a bit lean, I chose the boneless chops. These are fairly lean, but you will have to be willing to accept more calories for these over chicken. I wash these with apple cider vinegar, give them a good rinse, and marinate for dinner tomorrow. But you can skip this if you’re cooking the same day or marinate for a few hours. 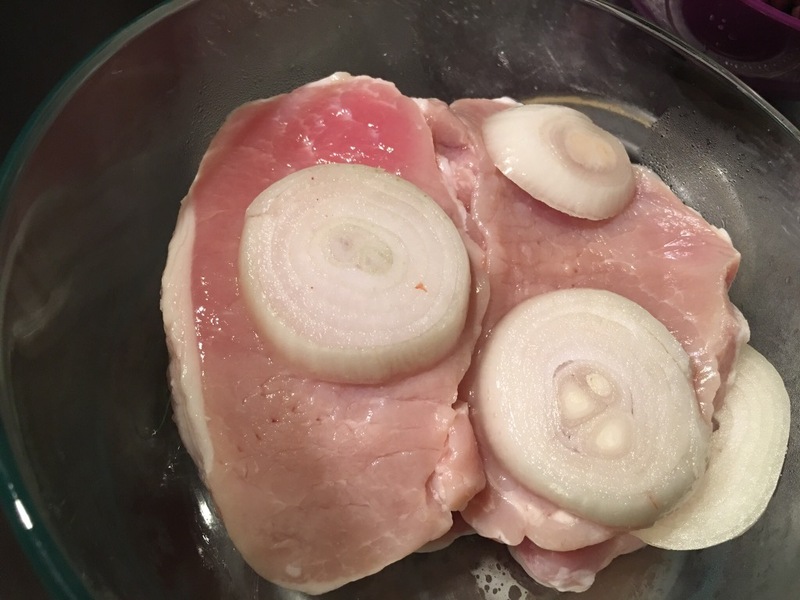 I cut an onion in thick rounds and placed between the chops, then covered with a beer. I did add salt but nothing else. Remove liquid and pat try with paper towels. Set onions aside. 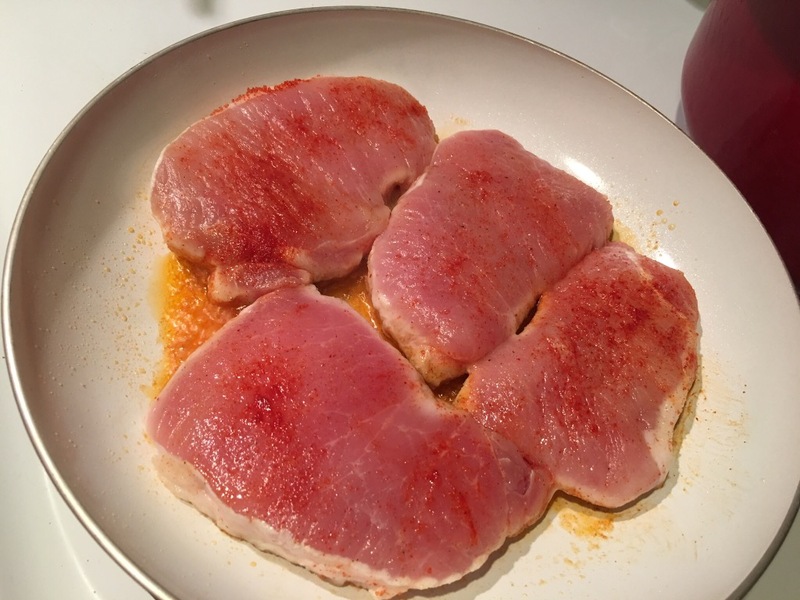 I put them on a plate inside the sink and season with adobo, ground habanero, and if you want–a bit more garlic powder. 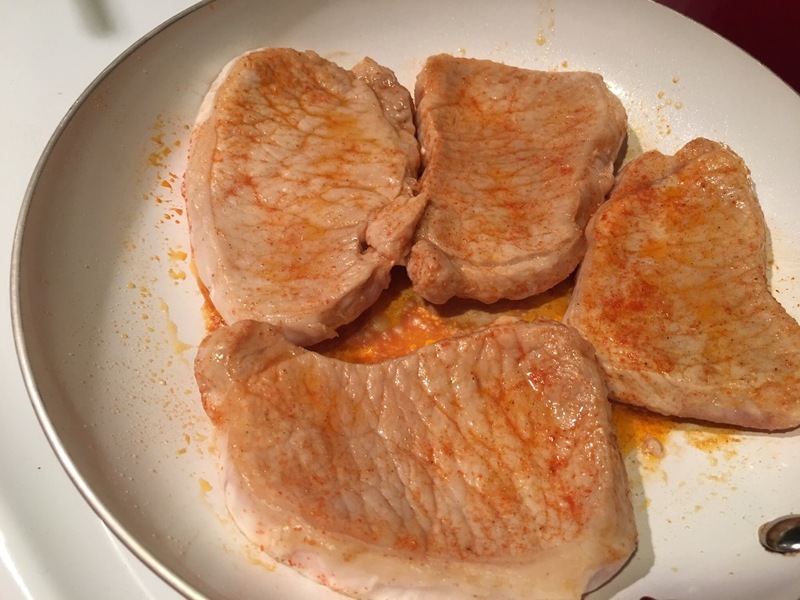 I love fried pork chops, but in the interest of keeping it on the lite side, I will pan fry it in just a bit of oil. Since it is brined, it will not brown too well but it will be very tender. 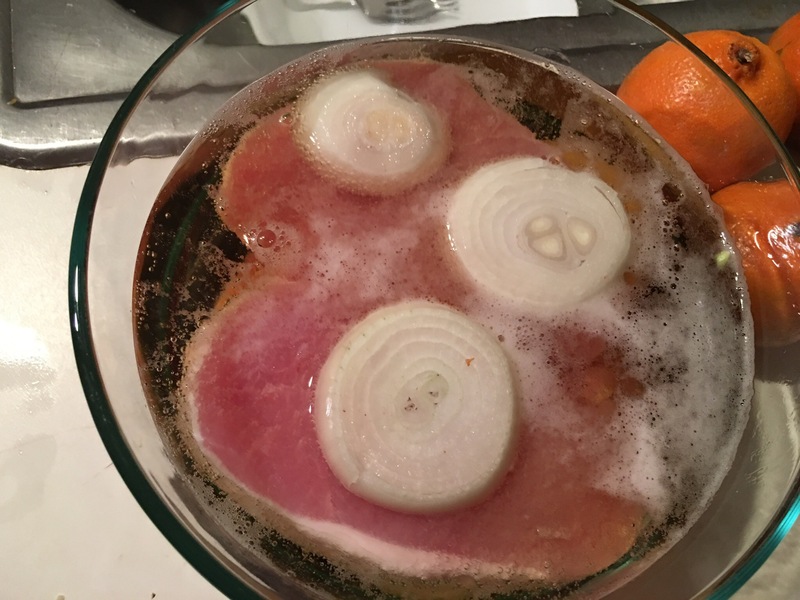 If you are going to fry them, using the brine first–they will be moist inside. The stove was on one click above medium heat to allow them to cook slowly. You will see them shrink a bit but you may not get a good crust without using a lot of fat to cook with. 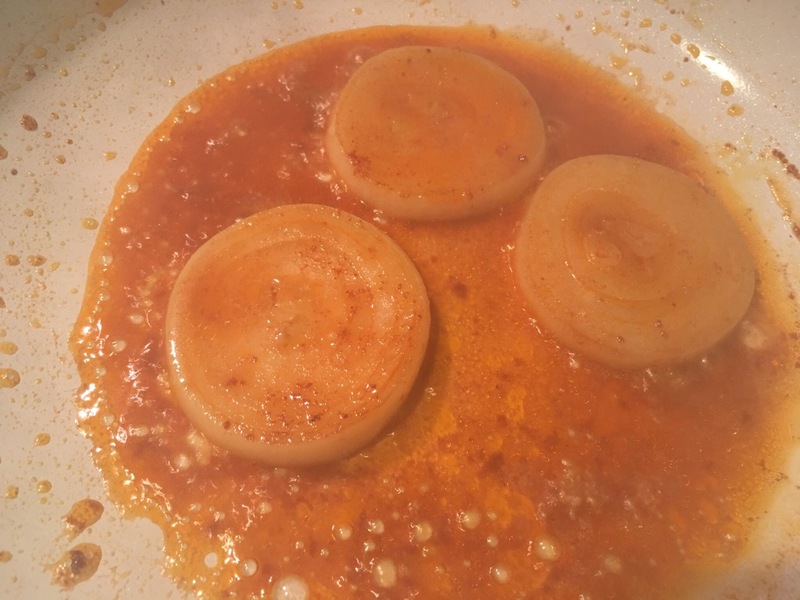 Remove from pan and sauté onions. Make sure it comes to a boil, add some stock if needed. Return the chops to the pan and simmer low for about 20 minutes. I served it with black beans that I drained, rinsed and cooked with salt, pepper, onions, and stock. I skipped the rice to save on carbs. 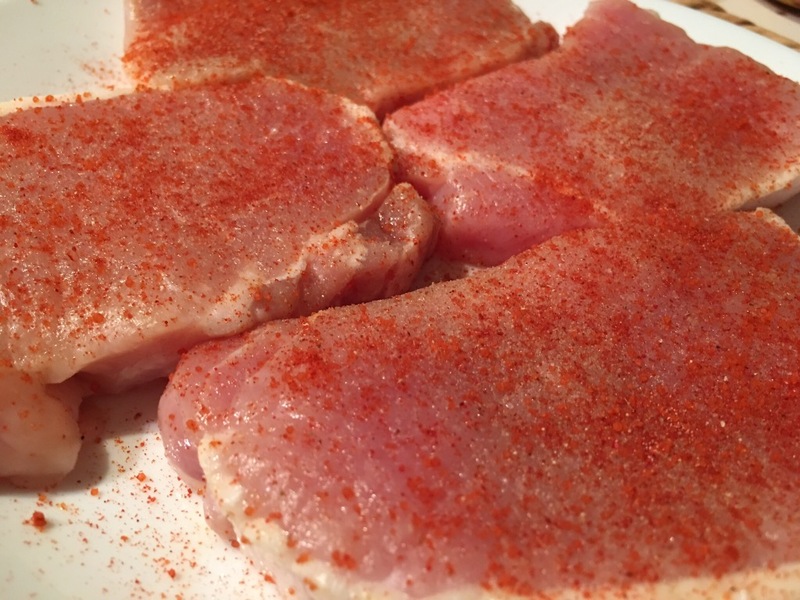 Squeeze lime over the chops, it’s really good!